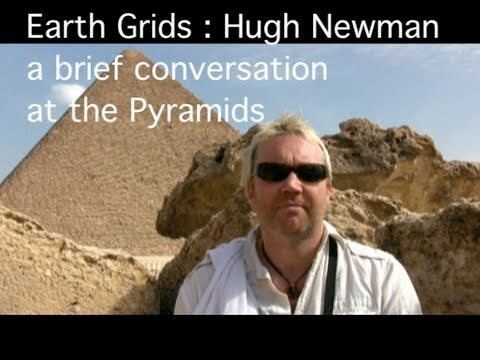 On my recent trip to Egypt with Carmen Boulter and group, I ran into Hugh Newman, who was there a day or two early for his trip with Robert Bauval. We had a brief chance to chat while on the plateau behind the Great Pyarmid. He is the author of "Earth Grids: The Secret Patterns of Gaia's Sacred Sites". In addition, he organises the Megalithomania Conferences in Glastonbury www.megalithomania.co.uk, and in March of 2011 is co-hosting Megolithomania in South Africa with Michael Tellinger. Check out the Megolithomania site for more information on Hugh and the conferences. Our talk covers his recent research into the Earth grids and his growing interest in the role that water plays in conducting the energy through the various vortexes created in sacred places.